DC SCORES: Free summer camps hosted by DC SCORES! 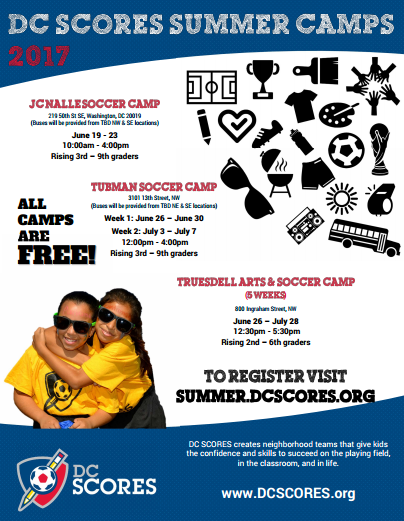 Free summer camps hosted by DC SCORES! Summer SCORES has officially begun today with the first summer camp of the season! Forty fun-filled days where DC kids get the opportunity to participate in activities that teach and promote teamwork, leadership and commitment. This summer, DC SCORES is hosting three camps in different parts of the city starting June 19 to July 28. The first two soccer camps are hosted at JC Nalle Community School in SE and Tubman Elementary School in NW. 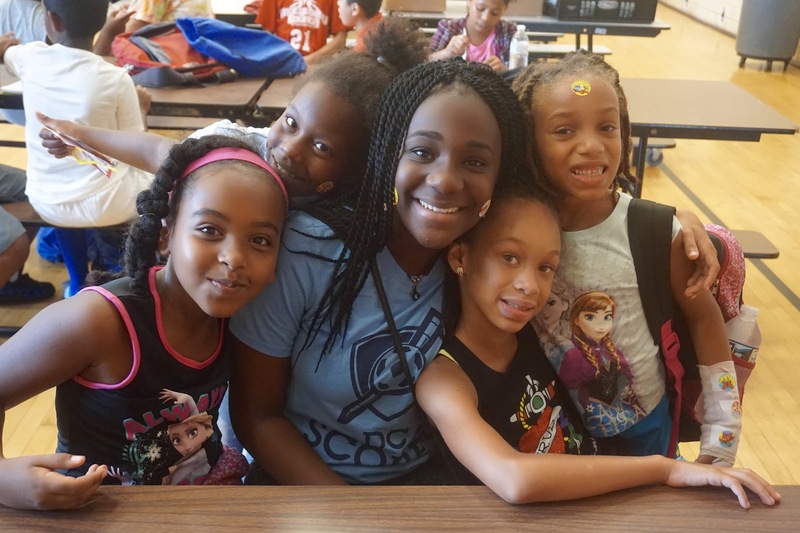 The third camp consists of a five-week soccer and arts camp at Truesdell Education Campus. The camps are FREE to all DC kids who are within the age eligibility range. This is a great opportunity for kids that are not full-year DC SCORES poet-athletes to experience one of the best summer camp experiences in the city! During summer SCORES, our goal is to create a fun and welcoming environment for kids during the summer months that keeps their minds and bodies in good shape. All the camp activities are led by expert coaches that are trained in soccer and positive youth development. We provide all participants with a t-shirt and at least one meal every day of camp. Our camps offer a unique opportunity for kids from all different parts of the city to come together and build long-lasting friendships! The summer months are a critical period for low-income youth due to their lack of activity when not in school. Kids that don't have the resources to attend tradition summer camps often struggle with learning loss once classes resume. DC SCORES offers a solution to this issue by giving kids the confidence and skills to succeed on the playing field, in the classroom, and in life. Take a look at our summer camp photos and don't forget to check out our highlight video below from last year to see what summer SCORES is all about! Follow the hashtag #summerSCORES and our Facebook, Instagram, and Twitter accounts to stay updated on our summer!